The 2019 CrossFit Games Open has come and gone. We preach to our athletes, in the gym or remotely, to periodically reflect on their goals to ensure that their actions match their pursuit. As coaches, we also need reflect to ensure the guidance we provide is steering our athletes to the best of our ability. 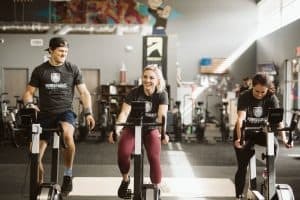 Below, you will read the raw reflections and reactions of the Power and Grace Performance coaching staff, in regards to the 2019 CrossFit Games Open. 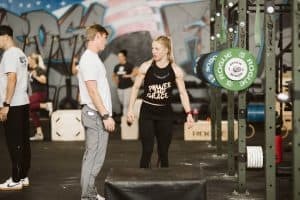 For me, the 2019 CrossFit Open was a letdown. I expected great things. I expected new things. We received neither. We received the same workouts we have been seeing since 2011. And looking back, I probably just built the Open to be more than it was ever going to be. It may never change. Maybe it’ll always have that 1 inclusive workout, that 1 repeat workout, those thrusters paired with chest-to-bar pull-ups, with a couple other mixtures of movements from the same list as always. I was disappointed to not see double scores or multiple tests in a week, or even a huge step up in level of tests. We have learned many things, but the main takeaway is the importance of GYMNASTICS VOLUME. Yes, you need to be strong and you need an engine. But, you better be able to hit all sorts of gymnastics, with an elevated heart rate, in bunches. Have we always known this? Yes. But it was reaffirmed. So, be ready to be training all sorts of gymnastics movements in large volume moving forward! For all the hype of the changes coming to the 2019 Games season, this year’s Open was surprisingly normal. After week 1’s sludge-fest of rowing and wallballs, I considered the possibility that the Open would be more reflective of the change CrossFit Inc. has made towards a direct application of fitness and the ten foundational physical skills that the sport is rooted in. I was wrong; the more things change the more things stay the same. Aside from the introduction of strict HSPU, (which should actually be a foundational skill before kipping HSPU) there were no surprises. Handstand walks would have been fun, but the vast majority of the population did not get a chance to attempt them. We got a hundred thrusters and pullups, we got a dumbbell, we got a heavy barbell that you had to earn, and we got plenty of suffering. No real surprises. I feel it was a fair test of fitness, strength, skill, and energy systems between 8 and 20 minutes long. I have two major qualms, though, with the Open that I was hoping would be quelled. First, the length of the workouts. The galvanizing aspect of the Open is that no matter where you fall on the spectrum of age, talent, or ability we all do the same workout. But the real magic isn’t sharing the workout, it’s sharing the pain. It is truly is magical how pain connects people and (in my opinion) is the best quality of the Open. The secret, though, to any workout that leaves you a blubbering mess on the floor or needing a designated driver to get home is to pick a time domain [and movements] that require the usage of multiple energy systems. Let’s look at a few easy examples. An elite level of Fran is just over two minutes (possibly faster for a short limbed person). The pain hits most people in the round 15. Why? Because you are moving out of the Creatine-Phosphate system and into Lactic Acid system. Pair that with movements that stress different muscle group in a upper vs. lower and push vs. pull orientation and you have the recipe for pain. Stradling this line of energy systems never lets your body fully switch into either and that metabolic stress causes good old-fashioned pain. A longer workout that Fran, yes, but it now dances the line between lactic acid and aerobic for optimal results and is again paired with a push/pull movement choice. Additionally, both rowing and wallballs are naturally lactic because of the small amount of rest built into every repetition on the recovery of each row stroke or waiting for gravity work on the ball. Again, the magic of pain comes from the straddling of two energy systems never fully leaving the lactic acid system and never fully entering the aerobic system. My first issue with the Open is the lack of a pure aerobic or creatine-phosphate test. 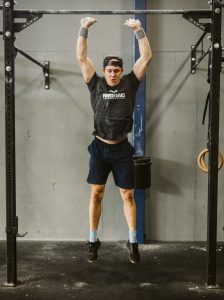 The CrossFit Games tried to test the max 1-rep clean and jerk (creatine-phosphate system) in the 2015.b Open workout, so athletes sandbagged on 15.a. It skewed the whole test of the Open away from smaller athletes. They have attempted to combat this strategy with large amounts of gymnastics before graduating barbell weights. They are fair tests… of a workout between 8 and 20 minutes long. I also want to see a true aerobic workout. 30-40 minutes of Cindy with 500m row between every 5 sets?I don’t really care what the movements are, but for an exercise regimen that uses the 5k run as it’s most common workout on it’s freely provided programming, I want to see that domain tested. It will be boring, and people will complain, but it’s a fair test. When did anyone associated with the Open care about entertainment value? The live announcements aren’t getting more fun to watch. My second qualm is the continued de-emphasis on gymnastic foundations of hollow/straight body. First, I LOVE the amount of gymnastics in the Open. However, even with the new strict HSPU, how many athletes took a video of their reps from the side to show they satisfied the standards of the straight body that was “necessary”. My guess? Zero. The one movement that makes my skin crawl even more than partial squats or a rounded back in a deadlift is the Incline-Bench Press Handstand walk or HSPU. If it looks like the letter C is moving across the gym on its hands or working it’s way up the wall, it’s wrong and in reality it’s dangerous. While a standard was put into place to keep that from happening on the strict HSPU, the competitive nature of the Open surely left this to interpretation. In just about every movement in CrossFit, safety equals efficiency and efficiency equals speed…except for this one. The original height standard from 2015 with a tape line was fair if pressing mechanics and gymnastic foundations are correct, and it made judging the movement easy. The Open is continuing to evolve. Anyone with a pair of eyes can see it’s still a young, growing sport. I have faith that it will continue to evolve with time. It will take humility and effort but my hope remains. Overall I thought the Open was a really well-rounded look at fitness. It tested multiple modalities and multiple energy systems well. While still being well-rounded, the five workouts gave opportunities for the elite 1% to stand out from the crowd around them and expose weaknesses. Furthermore, it still provided an opportunity for the average affiliate member to break some boundaries, set some personal records and complete movement they never completed before. I saw multiple members at the gym I attend do things they never thought possible years ago. I also saw elite level competitors excel in places they had not excelled in the past as well as struggle through unforgiving weaknesses. The Open does a good job of both encouraging every athlete, challenging every athlete and humbling every athlete. This year‘s competition was no different. Obviously they can’t complete everything I wanted, nor are they expected to, but I think they did a good job of taking simple workouts and testing simply who is the most fit person in the world. I believe this year‘s Open had positives and negatives. We had great participation in our gym and it seemed to be much more laid back and stress free for our athletes. It was a great opportunity for our community to come together and celebrate fitness. Without the team competition the Open did have a different feel than past years. I miss the excitement that surrounded that portion of the Open. Our members definitely knew how CrossFit Lincoln was standing each week, which brought a fun community spirit to the open. In the future I hope they bring the affiliate team back. As a master’s athlete, I also appreciated the change in the online qualifier post-Open. Instead of the Open ranking being the first score and it being just an entry qualification made the Open less stressful and more enjoyable as an athlete. I do believe the fittest man and woman both qualified for the games, but I don’t believe all who qualified should be at the games. With the change in format I expected more diverse and ‘regional’ type events. In my mind, the programming went the other direction. The events were fun and I enjoyed the experience, however, the events were bias. Heavier barbells and more advanced movements may have evened the playing field. If you’re looking for the fittest athletes on earth your goal is to find the person who can generate more power output or ‘work’ in a given amount of time. An athlete with a body weight of 150 pounds who can move through 50 HSPU in 2 minutes is impressive, but not nearly as impressive as a 200 pound athlete who can move through them in 3 min. Technically, more power output/work is done by the heavier athlete. The 200 pounder is moving far more weight a longer distance in a similar time domain. The question… who is actually more fit? 1 minute can mean dropping 500 spots and a lost chance at the games. If we’re looking at power output, the heavier athlete will not get a chance to prove it in Madison. What did you think of this year’s Open? Will it change anything as you prepare for the second 2019 Open in the Fall? Stay tuned for more insight, breakdowns, and coaching!